Exactly one year ago, Malaysia Airlines Flight 370 went missing — and there are still no signs of the missing plane. 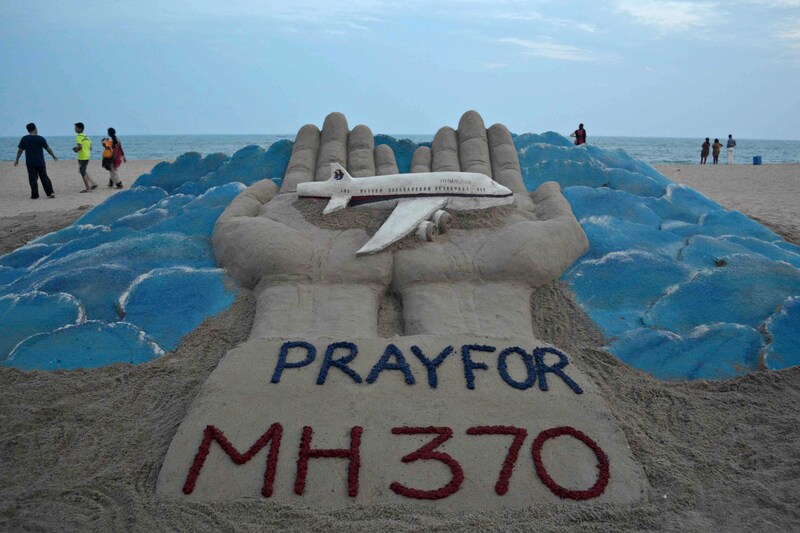 The 239 passengers on the flight are presumed dead, but the disappearance of Flight 370 remains a gigantic mystery. While most enigmas can be explained scientifically or solved analytically, every now and then a mystery arises that baffles everyone. The Malaysia Airlines plane that disappeared March 8, 2014 — not to be confused with Malaysia Airlines Flight 17, which crashed last July after being shot down near the Ukraine-Russia border — is believed to lie at the bottom of the Indian Ocean, somewhere along the "seventh arc." Communications with the crew were completely standard before they were lost, offering investigators no clues as to what happened; one theory is that the aircraft ran out of fuel and crashed into the ocean. Four vessels are still searching the deep waters, but nothing has turned up. Finding the plane is crucial to uncovering what went wrong, not to mention preventing it from happening ever again. Sometimes, the cause of other major unsolved mysteries were never uncovered. Even decades later, people remain confounded by creepy unsolved murders and weird natural accidents. After an unexplained explosion in July 2014 that threw soil and rock into the air, a 115-foot hole formed in Siberia's Yamal peninsula. Two more mysterious sinkholes were discovered in northern Russia soon after. Scientists believe gas explosions underground caused the sinkholes, but nobody has been able to confirm the theory, even after climbing into the hole to investigate. In 1943, four young boys found a human skull inside an elm tree when looking for birds' nests in Hagley Woods in Worcestershire, England. When the police investigated, they found a skeleton, a wedding ring, pieces of clothing, and a severed hand buried nearby. Professor James Webster, who examined the body, determined that it belonged to a 35-year-old woman, about five feet tall, who had given birth at least once, and had been dead for at least 18 months. There was no evidence of disease or violence, but her mouth was stuffed with fabric, leading Webster to think she was killed by asphyxiation. Months later, graffiti started appearing in the area reading, "Who put Luebella down the wych-elm?," "Hagley Wood Bella,” and “Who put Bella in the wych-elm?” Then, the local newspaper, The Wolverhampton Express and Star, received a letter claiming the woman was part of a spy ring. No one ever solved the mystery of Hagley Wood Bella. On a farm in Oakville, Washington, translucent jelly blobs began falling from the sky in 1994. The Washington State Department of Ecology scientists determined the blobs, smaller than a grain of rice, had once been alive. The owner of the farm tried to find out what the blobs were after his kitten died and family members starting feeling nauseous. People in the town thought the mysterious blobs were from the U.S. Navy dropping live bombs into the sea 10 to 20 miles off the Washington coast, throwing pieces of jellyfish into the clouds, which then fell in the rain. However, no theories were ever confirmed.